Our team caught up with Tami Kennedy, general manager of the Spokane branch of Bargreen Ellingson Restaurant Supply, to hear her perspective on what it takes to succeed in today’s restaurant industry. Bargreen Ellingson is the eighth largest dealership and distributor of food service equipment and supplies in the country, and Kennedy was recognized last year by the company for her exemplary leadership. 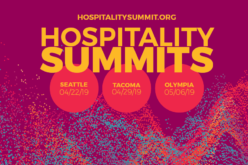 Washington Hospitality: What do you enjoy about your job and working in the hospitality industry? Tami Kennedy: The variety of different things I get to do each day. No two days feel the same, and there’s never an opportunity to get bored. I like helping people realize their dreams. I love doing design builds with independent restaurants that are creating a new location or second store or maybe it’s their first foray and I get the opportunity to educate them about what they’re really getting into. W: What’s the hardest thing you do? K: The hardest thing that I do is to sometimes have to tell people that they don’t have enough money to get into the industry. It’s really hard when somebody comes in with all these dreams and hopes and whatnot, but they just haven’t factored in all of the elements that come into play in order to have a successful restaurant. W: What do you think is the most important thing business owners and operators should do to be successful? K: They need to become masters of flexibility. The hospitality industry is ever-moving, and there’s lots of things that can go wrong. There’s lots of things that can go right. There’s lots of opportunities that can be taken advantage of. There’s all kinds of different personalities involved, and a successful operator not only is good at being flexible, they enjoy the ever-changing dynamics of what the industry’s all about. W: What technology trends in the restaurant industry are you most excited about? K: I like the iPads coming in as the POS station and the POS mechanism. I think that there is unlimited possibility with those. They can not only be used as an order entry point, they can be used by the customer as well as the operator. They’re a great tool for gathering data and they have a very small footprint. I think that the tablet technology coming in is a real asset to helping operators have a nicer environment that’s more customer-focused. I think the way we’re designing restaurants now is more with an idea that there’s huge flexibility. We used to have layouts that were for this menu and pretty much this menu only, this many seats only, this many entrees prepared daily only and now we’re designing to have a scalable format with the possibility of Uber Eats pick ups and making sure we have space for an expanded to-go station. Operators are getting very creative about making sure they can do more than just take care of the customers who come into the restaurant and sit down. W: In your opinion, what are the emergent disruptors people should look out for in the restaurant and hospitality industry? K: I think delivery services are disruptors. I also think that the meal-in-a-box services are having an impact. People are experimenting with the idea that they can cook more at home in a specialty way, and cooking is becoming more of a social event for everybody. The social side of eating has been largely held by restaurants, and now we’re seeing people thinking outside of the box and different ways to bring community together. If restaurants in today’s market can capitalize on those changes and be forward-thinking about them, I think that they will increase their bottom line significantly. But if they stick their head in the sand and try to keep doing it the same way we’ve always done it, they’re going to have a real problem. W: How do you keep your team happy and what are your go-to strategies for finding great new talent? K: I believe that it’s a complete team approach. None of us can be successful unless all of us are successful. I manage my branch with that being the first and foremost rule of thumb. We make decisions based on what’s going to make all of us successful. It’s not just my team, it’s my customers as well. The customer’s success is imperative to our success. If we’re all forward-thinking about what we do every day, how we communicate and how we provide services, it’s going to benefit that customer. If we strive always to make sure that there is a benefit to the customer, then we’re naturally going to be successful. But recognizing that it takes every person in the building in one form or another to pull that off and to do it well is what keeps my team happy. Probably the greatest assets I have to attract new talent is the satisfaction that my current team has with their jobs. 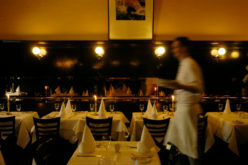 W: How can restaurants use data to improve their operations? K: I think we’re seeing more and more use of data. Data just really came on the scene in the last few years. I think right now we have this data and we’re trying to decide the smartest way to use it to build a better, stronger business. I think operators are sometimes challenged with applying the information data can give them to do just that. It’s great to have it, but knowing how to apply it sometimes can be challenging. W: Have you seen anybody using data well? K: I think there are some operators that apply it extremely well. We can look at what chains have done in the past. They have had data a lot longer than your average mom and pop restaurant or independent operator. I think if we look to them for some examples, some wisdom on how to use it and how not to use it, it is probably going to be a good path for us. Even some of the smaller chains focus in on the data that’s available to them as they consider expansion or menu changes and things like that. They’re pulling together all the information from all their operations to make better decisions and better choices going forward. W: What retention strategies do your employees seem the most receptive to? K: Education. We work really hard to keep all of our staff educated on the latest and greatest and on growing their skills and their knowledge of the trends in the industry and different products that are coming into the industry. We also keep them well-connected, not only with the changes and the knowledge but also with the people who are instrumental in affecting those changes and putting out that knowledge. It’s all about building relationships. We have to recognize that we’re working off of a three-legged stool – we have to take care of our manufacturers, we have to take care of our customers and we have to take care of our people. As long as all three of those legs are on the stool and given equal balance, things go well. W: How do you receive feedback from your team members? K: I have an open-door policy. They can call me 24/7, 365 if they have an issue or a problem. Our hours on the door may say 8-5, but internally we’re often on the phone as late as 10 or 11 o’clock at night working through whatever we need to work through to make sure the customer is taken care of. Customers also call each individual sales person, the person with whom they have a relationship, at all times of the day and night. It’s about keeping the communication channels open and addressing situations, challenges, success, immediately. This interview was shortened and edited for clarity.